Malaysian PM doubles down on ‘hook-nosed Jews’ comments, blames Israel for ME woes. My question, Why can telling the Truth not be tolerated??? 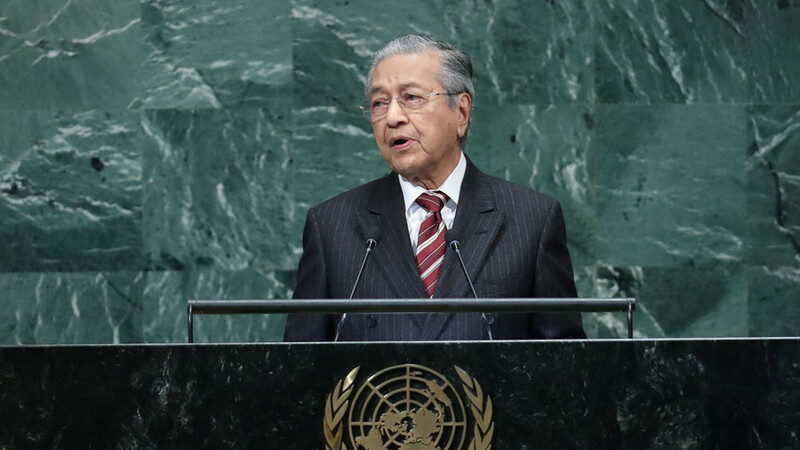 Malaysia’s nonagenarian prime minister has defended his controversial statements referring to Jews as “hook-nosed,” doubling down to assert that the creation of Israel has triggered most of the current troubles in the Middle East. Mahathir Mohamad’s comments came after being asked about alleged instances of being a “proud anti-Semite” during his long career in politics, by journalist Zeinab Badawi during an interview on BBC’s Hardtalk program on Tuesday. “If you are going to be truthful, the problem in the Middle East began with the creation of Israel. That is the truth. But I cannot say that,” he told Badawi. Labelling Israelis as “special” over other nationalities, Mohamad said that any challenges to the Israeli state’s historical narratives, such as questioning the exact number of Jews murdered during the Holocaust, are automatically branded as anti-Semitic. Quoting his 1970 book “the Malay Dilemma,” Mohamad was then challenged about describing Jews as “hook-nosed” and who “understand money instinctively.” He responded that Malaysians too were the subject of comments like being “lazy” or about their appearance. At 93, Mohamad became the world’s oldest leader in May, when he swept to power for the second time in his career, following the resignation and arrest of Najib Razak amid a massive corruption scandal. VP Mike Pence heads US campaign against anti-imperialist Latin American governments – Evo Morales to RT.